Dr. Cadot was born in 1971. Having graduated from high school in 1989, he spent one year from April 1992 until March 1993 as a foreign student at Rikkyo University, Japan. In 2006, he received his PhD in Japanese Studies from the Institut National des Langues et Civilisations Orientales in Paris, France. The subject of his PhD thesis was “Kano Jigoro et l’elaboration du judo - Le choix de la faiblesse et ses conséquences”. From 1997 until 1999, he was employed at the Paris branch of the Fuji Sankei Communications Group. Having gone through several part-time positions at universities and research institutions Dr. Cadot is currently active as lecturer at the Institut National des Langues et Civilisations Orientales and as an affiliated researcher at the Centre National de la Recherche Scientifique in Paris. Dr. Cadot holds the 5th dan in judo and is active as a teacher of this Japanese martial art. For the purpose of his PhD research Dr. Cadot has gone to great lengths in reading, translating and analyzing Kano Jigoro’s complete written legacy. His thesis comprises of 865 pages constructed around 6 chapters. Beginning with a detailed reflection on Kano Jigoro’s life and personality development, Dr. Cadot proceeds to describe the development of judo from its origins in jujutsu, Kano’s choice of techniques as well as judo’s scientific, educational, mental and philosophical characteristics. He further describes the creation of Kodokan judo, its social significance and its role in society at large. 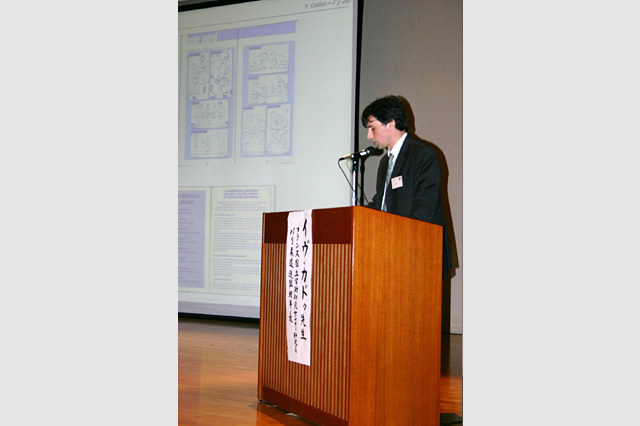 In addition to the complete works of Jigoro Kano, Dr. Cadot has made extensive use of other Japanese language sources relevant to his subject as well as foreign language sources in French and English. Dr. Cadot is actively dispersing his scientific knowledge and insights into judo and the world of Japanese martial arts by giving lectures at academic gatherings, publishing articles, translating books, and by participating in international judo training camps not only as a judo exponent but also as lecturer.